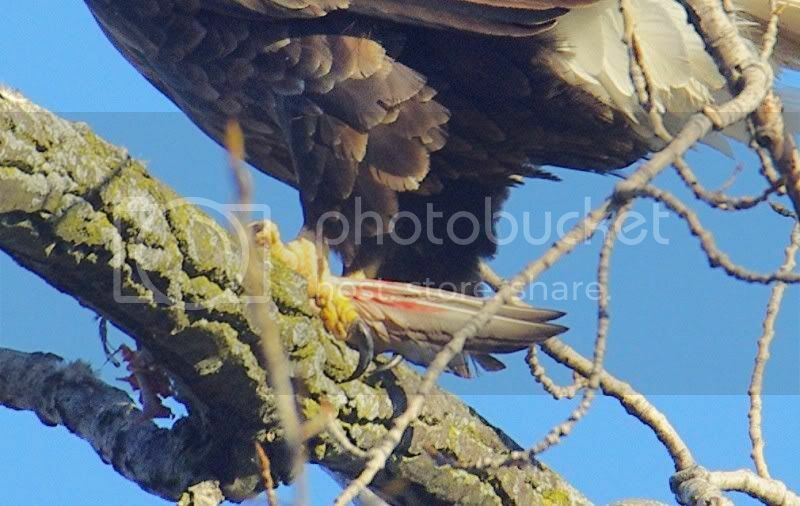 Heartland Outdoors Forum | What is this Bald Eagle Eating? when i took the pic i assumed that it was probably a fish that the eagle was eating, but i cropped out the claws to show my friends, and now i’m not so sure it’s a fish. most of my friends say that those are feathers, and that it’s a bird. what do you think? Sure looks like feathers to me. Also, the bone on the other side of that branch does not look like a fish bone at all. My guess would be a pigeon? Not a fish - no chance. It’s definitely a wing. Maybe a pigeon like Bob said or some type of waterfowl. Great pics! I especially like the last owl pic!